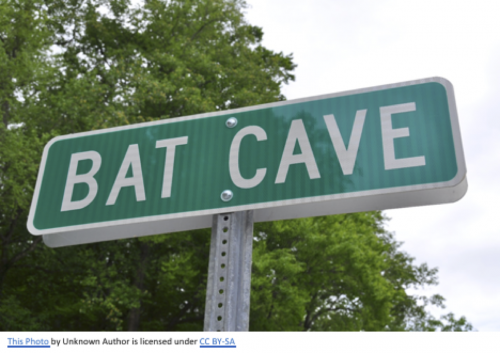 At some point in every Batman comic book, tv show, or movie, Batman retires to the giant batcave under his mansion. And in his “Batcave” he refuels the Batmobile, he gets some food from Alfred the Butler, he uses the giant Batcomputer, maybe he runs some tests in the Batlabratory or synthesizes some antidote. All of this leads to some massive revelation that refocuses the World’s Greatest Detective on the challenge presented to him in that issue/episode/film. It’s usually the breakthrough moment in the story. Everything else from that point on is Batman winning unreservedly. No one in Gotham ever sees this. To them, Batman is the Caped Crusader running around at night responding to the Bat Signal and being a superhero. There’s no boring laboratory Batman, or Batman hunched in a desk chair flipping through databases. Batman is all action and impact, and the strategy and thought are invisible. They don’t see the most important part, they only see the outcome. Why am I talking about Batman on a blog that’s meant largely for nonprofits and consultants? We get into charity work to make the difference, to be heroes in our own way. There aren’t superheroes in real life, there’s only advocates and activists and dreamers. We see these people making their difference, and many of us jump in with both feet expecting to make the same difference. And many of us fail. It’s because we don’t put the time into building our Batcaves. The part people see is only half the work. As much, if not more, time and resources go into the Batcave as the crime-fighting. If you want to be smart, if you want to be performing your mission for years to come, you need a database. An Alfred to fuel up the Batmobile. The place where you examine and reevaluate your strategy. Did the ACLU take your donors after the election? One question asked of me more and more in the recent months is how the election is shaping charity. How can we, the local nonprofit doing what might be considered “non-essential” work—arts organizations, independent schools, small service organizations—compete with established national organizations that have a renewed relevance? How do we go toe to toe with the ACLU, Planned Parenthood, the International Rescue Committee? The 2016 US President Election changed the landscape for charitable contributions. That’s an undeniable fact. It overturned established order in the United States across the board. In particular, it mobilized a groundswell of grassroots efforts. More than ever, people are putting their money into third sector solutions, looking for help in applying pressure to the public and private sectors. So, yes, the ACLU, Planned Parenthood, the International Rescue Committee and others saw an uptick in donations in the last quarter. Often a huge increase as many donors went into emergency spending. I would not expect that to persist at quite this level for the next four years. I do think they’ll continue to have a prominent place in many donors’ minds (and their checkbooks) for that time. You, the smaller nonprofit with a local or regional focus, may well have seen a decrease in donations at the same time those national organizations were seeing record contributions. But did the ACLU, Planned Parenthood, and the International Rescue Committee take your donors away from you? The answer to that is, unless you provide the same services as those organizations, probably not. Because they weren’t your donors. A donor who, when faced with an emergency, chose to redirect their charity from a local organization they have a giving history with to a national organization they had no history with was not that local organization’s donor. Not in real, practical, terms. They were not a partner in the work. They were unconvinced by the case for support that the organization’s mission was worth funding. It’s a mistake to view that as the success of the ACLU, or Planned Parenthood, or the International Rescue Committee in attracting those donors away. That’s a failure in not convincing those donors to stay. This election, and many of the donors who have been most called to action by it, put a high premium on grassroots efforts. If that’s the narrative takeaway, then how can it be that large national and international nonprofits hoovered up those donor dollars from grassroots nonprofits? If you’re a nonprofit, your job is to effect change. Your job is to overthrow the established order, to take people’s complacency with the way things are and blow it up. Then go and tell them that you’re vital.